Hello and thank you for considering me as your therapist. I’m a licensed clinical social worker (LICSW) with experience supporting adult women and men struggling with anxiety, depression, obsessive compulsive disorder, relationship issues, transition, emotional regulation, grief and loss, and stress management. By providing a safe space, we work together to deepen self-understanding and self-compassion while helping you gain insight, reduce stress and anxiety, set goals, highlight strengths, plus develop and deepen coping skills. In our sessions, we’ll explore underlying issues and ways to live your best life. As a mindfulness practitioner, yoga teacher (E-RYT 500), and small business owner with two decades of experience, I bring an eclectic mind, body, and entrepreneurial focus to my work. I’ve been called upon as a wellness expert for US News & World Reports, Washingtonian, various books, podcasts, blogs, TV, and radio. I’m also certified in applied positive psychology, have written six books, am studying journal therapy and veterinary social work, and hold master’s degrees in women’s studies and social work. My work incorporates various styles, namely positive psychology, mindfulness, cognitive behavioral, strength-based, and transpersonal, so our session is tailored specifically for you. Our sessions take place over a cup of tea in a nurturing, Metro-accessible setting in Dupont Circle complete with tangible takeaways and optional homework to consider between appointments. Learn more about fees, insurance, treatment approach, and more on the FAQ page. Please reach out if I can assist you on your journey toward wellness and wholeness. To schedule an appointment, please call (202.827.5425) or email me. I look forward to connecting and collaborating. I offer individual psychotherapy for women and men. 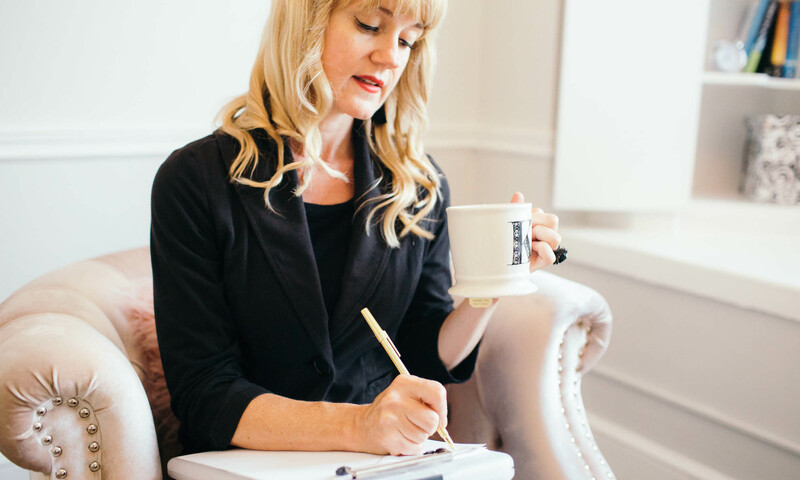 Through our work, my goal is to help you gain insight, reduce stress and anxiety, set goals, clarify dreams, highlight strengths, plus develop and deepen coping skills. By providing a safe space, we work together to deepen self-understanding and self-compassion while taking steps to move you forward. Pulling from various styles, I incorporate mindfulness-based interventions, body-mind psychotherapy, positive psychology, cognitive behavioral therapy, and transpersonal psychology into my work. I have experience supporting clients through a variety of issues, many are noted below. Please review my FAQs for information on insurance, fees, and the therapeutic process. If it feels like a good fit, reach out via phone 202.827.5425 or email for a free 15-minute phone consultation to discuss what’s bringing you to therapy. I’ll also share insight into my style as a therapist. Next, we’ll set an appointment and I’ll follow up via email with instructions on accessing the suite, along with two forms to fill out. Please bring the completed forms to our first session. My office is located in the historic, light-filled Anchorage Building. Although the address is 1555 Connecticut Avenue, NW, the building entrance is 1900 Q Street, NW (between Connecticut Avenue and 19th Street)—directly across from Firehook Bakery and next door to Rakuya. Both addresses are on the door. The Anchorage Building is a two-minute walk from the Q Street (North) exit of the Dupont Circle Metro (Red Line). Take a hard right as you exit the Metro and walk one half block past Connecticut Avenue toward 19th Street. There is metered street parking and paid parking garages nearby. I encourage you to allow ample time to find a spot in this bustling neighborhood. Please check out my FAQs for additional answers or reach out.